Larry oversees recruiting and admissions for both the graduate and undergraduate programs. 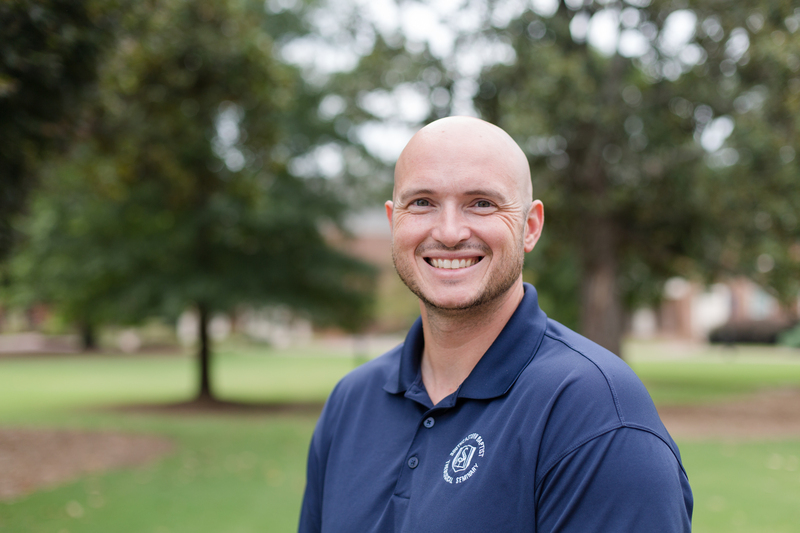 As a student at Southeastern, Larry studied apologetics, theology and Christian ethics. He and his wife have three beautiful daughters, and he is overly concerned with Georgia sports teams, especially University of Georgia football. Meagan Anne is originally from Brandon, MS but deemed Wake Forest home in July of 2017 as she began pursuing a M.A. in Ministry to Women. She claims camp life is the best life and has a passion for encouraging and strengthening girls of all ages in their walk with Christ. Her favorites are all things Southern, Spanish and Sweet. Originally from Augusta, GA, Abby and her husband Josh now call Wake Forest home. 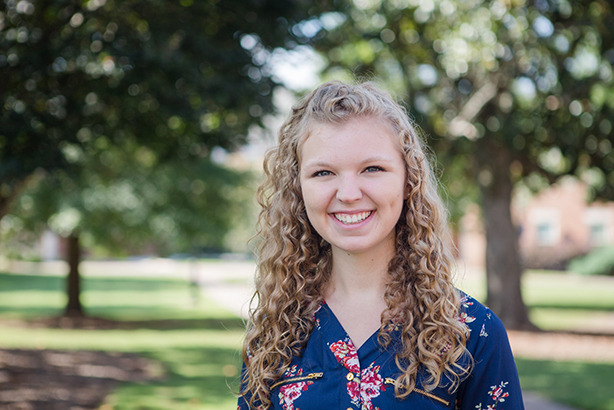 She is earning her Bachelor of Arts in Theology, and has a heart for encouraging others to explore the riches of God’s Word. Abby loves the South, pecan pie, and sunshine. One of her greatest joys is using her gift of hospitality to share Christ’s love and make others feel valued. Chris is a native Texan, he is married to Hannah and they absolutely adore their children Elliot, baby C, who is with the Lord, and Annaliese. They are active members at Treasuring Christ Church. 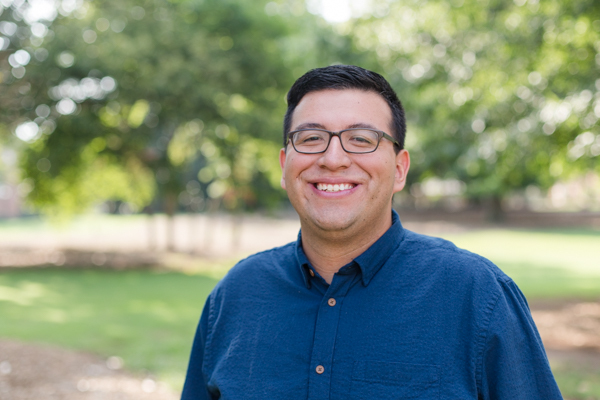 Chris is a graduate from West Texas A&M University and is working on his M.Div. in Christian Ministry. He loves being with his family, enjoying delicious food and encouraging others, especially prospective students. Originally from Hattiesburg, MS, Aaron Ducksworth and Sherelle his wife of 5 years, hailed Wake Forest home Fall of 2018. 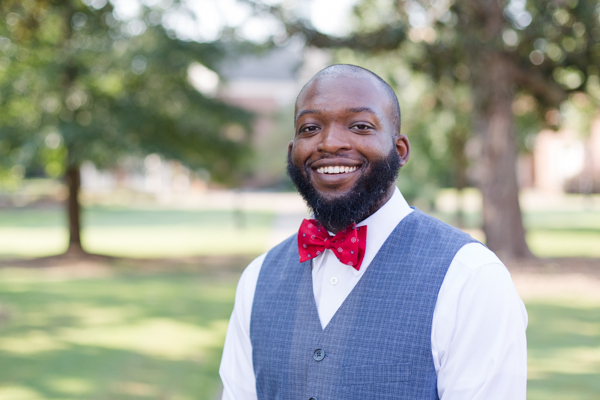 He is a graduate of Mississippi State University and is currently completing a M.Div. in Pastoral Ministries. He plans to pursue his Th.M. at Southeastern in the near future. Some of his favorites include traveling, learning, music and Mississippi State Football. Hail state! 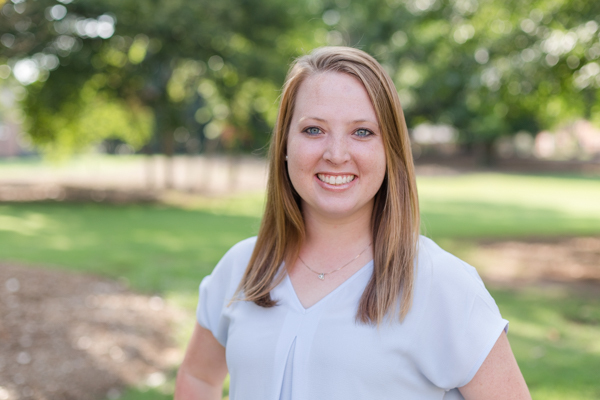 Kate hails from the metropolis of Dawsonville, GA. She is a graduate of the University of North Georgia with a B.S. in Early Childhood Education & Special Education and is currently being equipped through the M.A. in Intercultural Studies at SEBTS. She enjoys welcoming prospective students when they visit campus. Kate has a love for Hawaii, all food eaten with chopsticks and good music. As the Manor House Hostess, Mandy loves introducing new students to Southeastern! 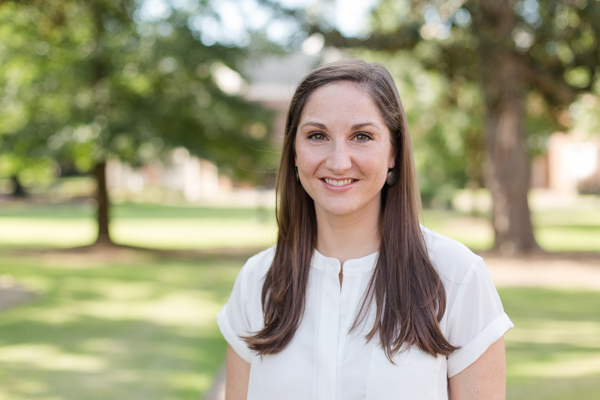 She is originally from Alabama, graduated from Auburn University in 2012 (War Eagle), and moved to Wake Forest to pursue a Masters of Arts degree in Ministry to Women. 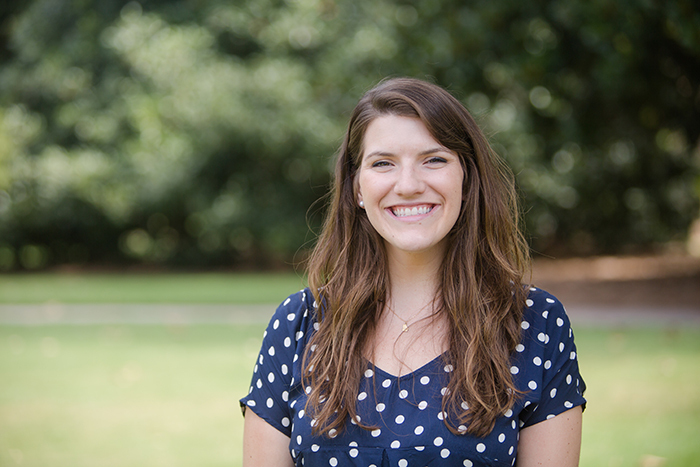 She is a member of Imago Dei Church, loves being outside, visiting new places, and reading with coffee in hand. Jason, his wife Morgan and their two boys, Beau and Boone, moved to Southeastern from Birmingham, Alabama in 2016. Jason is currently pursuing a M.Div. in Preaching and Pastoral Ministry. He enjoys hunting, golfing and Alabama football. Conner is originally from Myrtle Beach, SC. 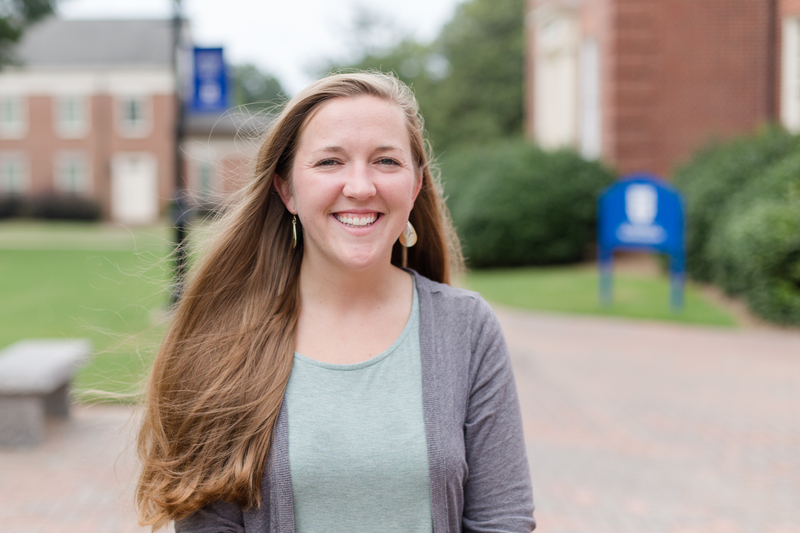 After graduating with a degree in psychology from Anderson University, she came to SEBTS to pursue a Master of Arts in Biblical Counseling. Conner loves being outside, drinking hot tea, and watching Alabama football with her husband. 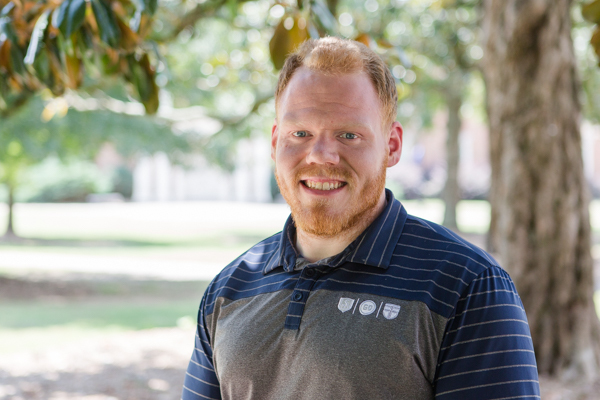 Casey serves both undergraduate and graduate students of Southeastern by developing strategies and initiatives to help students succeed academically, spiritually, and professionally. 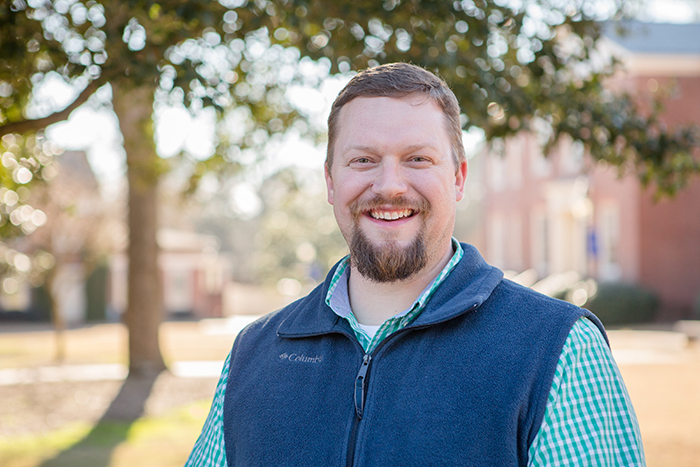 As a student, he holds the BA in Christian Studies and Philosophy from the College at Southeastern and is currently pursuing both his MA in Apologetics and Christian Philosophy and his MA in Biblical and Theological Studies. He loves ice cream, doughnuts, and powerlifting.